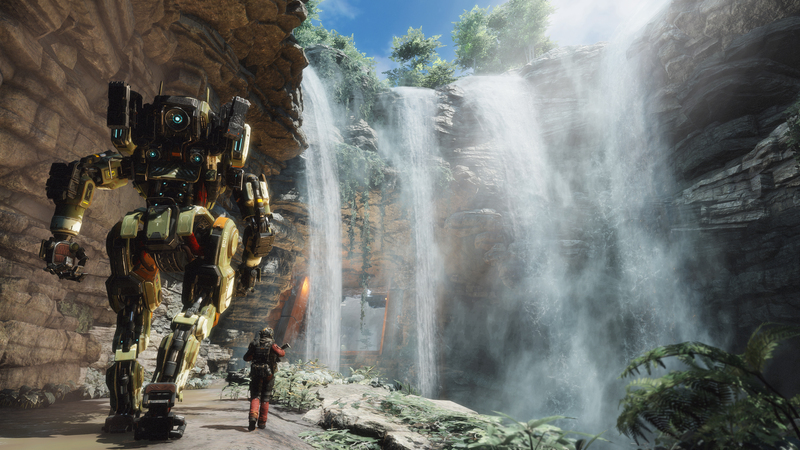 That got us thinking about the possibilities of this game, because it, much like Apex Legends, is not supposed to be a mainline Titanfall game. Rather, it is something set in that universe. Because of this, Respawn has the freedom to do what it would like, without being restricted to the first-person shooter genre. What could this next game in the Titanfall universe look like? It could literally be anything at this point. Hopping in the cockpit with VR. Seeing as how VR is picking up steam, specifically with the PSVR, it makes sense to create an experience that is built from the ground up for people with the tech. Imagine wall-running, controlling a mech from the point of view of the cockpit, and enjoying an engrossing single-player story, all in VR. Sure, this may be wishful thinking, but it’s not outside the realm of possibility. Respawn Entertainment has already stated that it’s working on a separate VR game, so it’s probably unlikely, but it may be taking what it’s learned from that and applying it to the Titanfall universe. This might be a an off-the-wall prediction, but crazier things have happened. In fact, given the success of games like Gwent, Hearthstone, and The Elder Scrolls: Legends, this might not be that crazy at all. There aren’t a whole lot of futuristic themed digital card games, so there is an empty void for this type of game. It could be really cool, with various mechs to choose from that have different abilities. Seeing as how EA loves to extract money from its consumers, this could be a very EA move. It might not be what the community wants, but it’s a plausible theory. Now this would be awesome. Think Halo Wars, XCOM, or something similar. Taking the Titanfall universe and using it as the setting for a strategic game sounds like a logical next step for the series. It would be different enough, but could still include the lore and mechs we know and love. Imagine commanding an army of mechs to destroy your enemy. Again, like a digital card game, this may sound far-fetched, but the more I think about it, the more it seems like a possibility. Yeah, this could be a thing, too. Maybe “a new twist on the Titanfall universe” doesn’t mean much, and it’s just a new side-story with the same basic gameplay. As long as it’s good, this wouldn’t necessarily be a bad thing. Maybe the twist could be taking the series to a new unexpected setting or including a new mechanic that makes this entry stand out. Using buzzwords like “new twist” is something we see often, so we could be overthinking it. If it is just a traditional FPS game, as long as it’s on the same level of quality as Titanfall 2, it will likely do well. There are probably a slew of other genres a game in the Titanfall series could fall into with the next entry, but seeing as how its roots are in the action-shooter genre, Respawn probably won’t be making any match-3 puzzle games or anything that strays too far from that. Nonetheless, the idea of a new twist on the series is exciting and, given Titanfall’s sudden boost in popularity thanks to Apex Legends, it wouldn’t be surprising there were numerous Titanfall games for years to come.